I have been looking for these two Birdhouse decks for a long time. 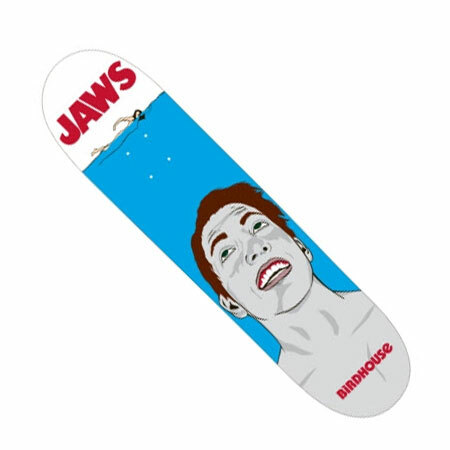 The first is Jaws very first pro model that has the picture of him on the board that looks like the original Jaws movie poster. The second is the Jaws Dragon cartoon deck. Will trade or buy these thanks!